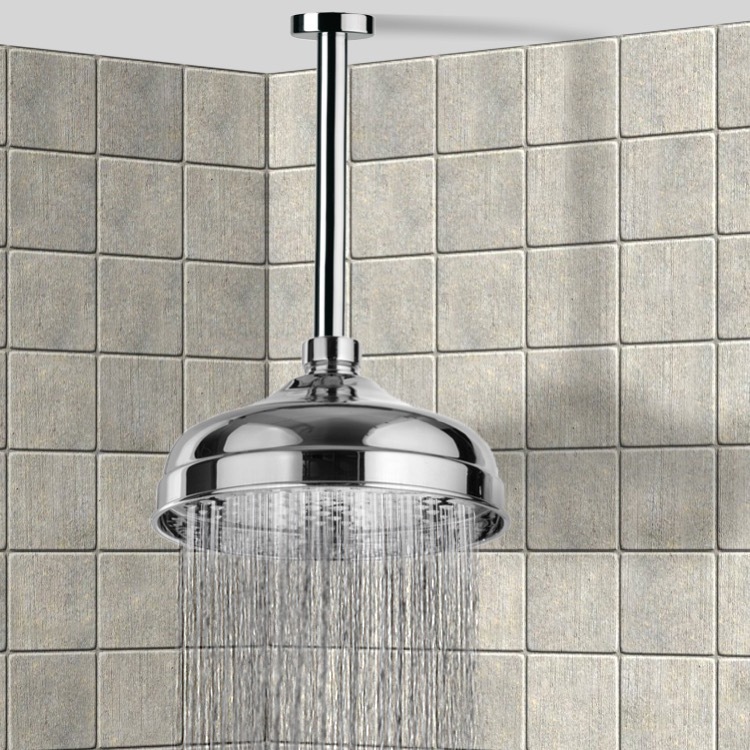 A ceiling mounted contemporary shower head that is made in brass and finished in chrome. Part of the Enzo collection by Remer, this luxurious shower head compliments more modern bathrooms. Manufactured in Italy by Remer.